CFB Rockcliffe Community Tree Conservation needs ideas on how to enforce construction regulations! 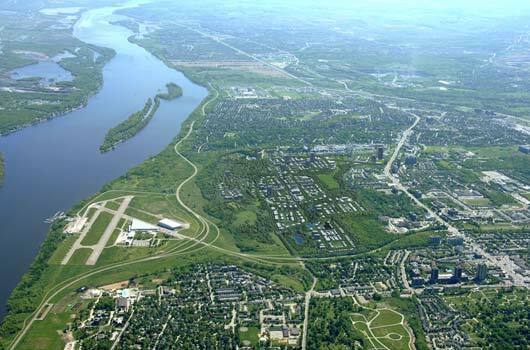 The former CFB Rockcliffe Community Design Plan (CDP) is proposing a document to be given to the City of Ottawa which will help to ensure green space is being respected by construction workers when they build. They will be presenting the material to the Planning and Development Committee for approval. Al Crosby of National Capital Free-net, needs your ideas before the City’s public meeting on 25 June, 2015 at the East Gate Alliance Church on Codd`s Road. Please send any ideas you may have about keeping the construction workers accountable for green space regulations to acrosby@ncf. Sadly, as Crosby says, it is easy to get approval for keeping green space safe from developers, but once the work begins there is no monitoring or follow-up to ensure that the construction workers are following city protocol. Much of the area in Rockcliffe concerns the Monfort Hospital Woods and The NRC Woods. These green spaces contain woodlots and vegetated swales. The Rockcliffe region slotted for land use development includes mostly tree dense areas, therefore the proposal hopes to ensure the long-term survival of the trees and natual species in the region. Part of the document which will be prososed to the City is outlined below. wildlife, dead trees should only be removed where they pose a risk to human health and safety.